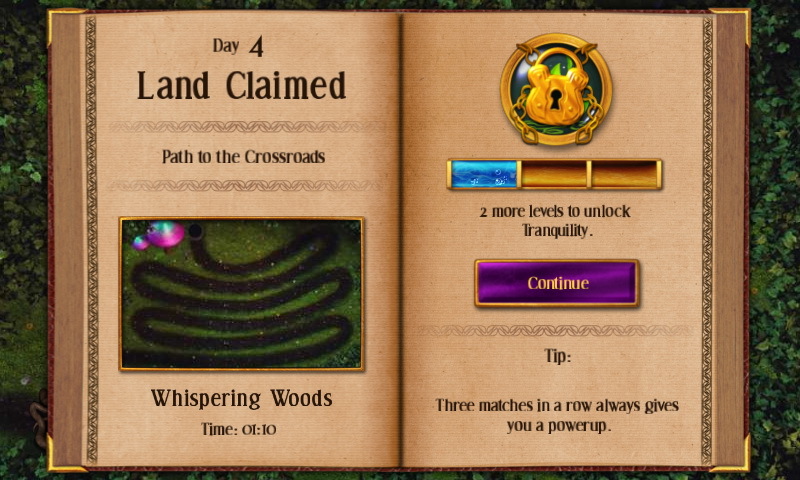 There are plenty of games that offer you the opportunity to kill time by matching three of a kind. Whether it’s bubbles, 3D blocks, or marbles, the game mechanism is rather simple; match same colored items on the board and move on to the next level and then on to the next, until there’s no more left to play. When you pick up such games, you don’t really expect too much in terms of variety, complexity or creativity. 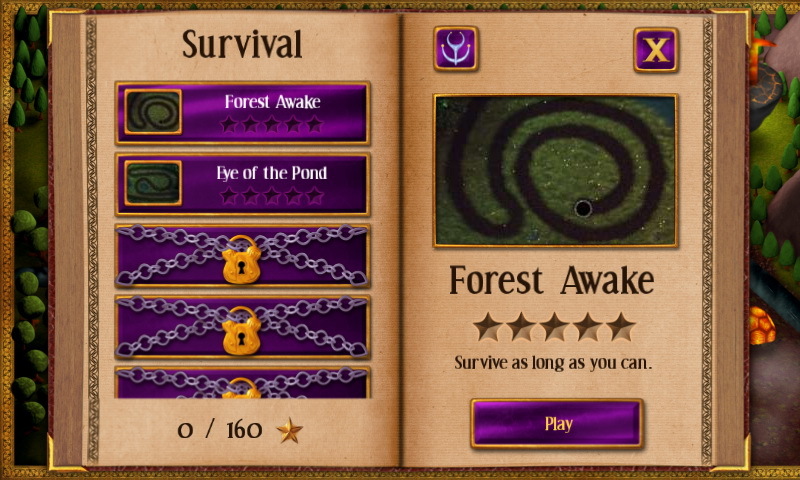 In fact you can probably play these games in sleep mode! And that’s probably the reason why you find plenty such games available for as little or nothing at all on the Play Store. 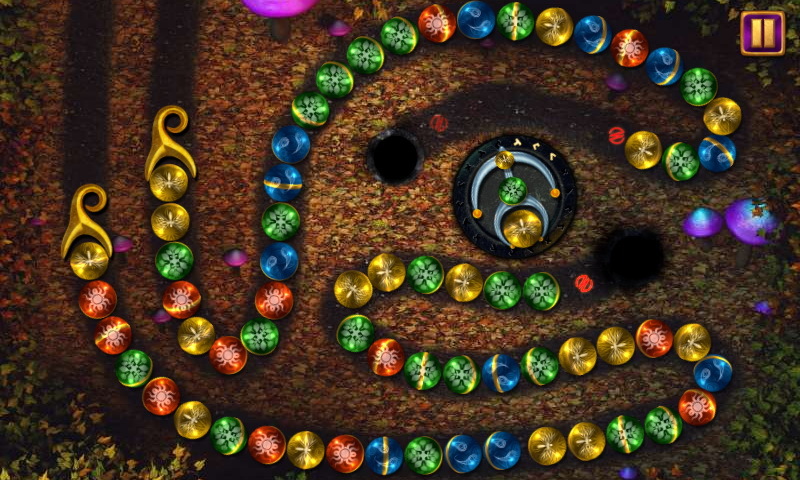 But along comes a marble shooter called Sparkle 2 with a hefty price tag, and a lot of positive reviews to its credit and you sit up and take note. 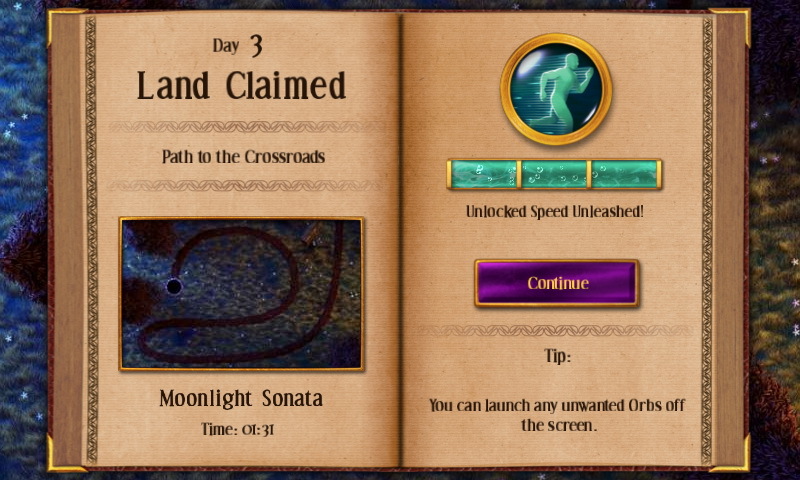 The game has been described in the Store as visually stunning with an amazing soundtrack, so I decided to check out what all the fuss was about and if Sparkle 2 does indeed have the sparkle to merit its price tag. Developers 10tons Ltd certainly know how you zap you into a rather stale and unimaginative marble shooter game. 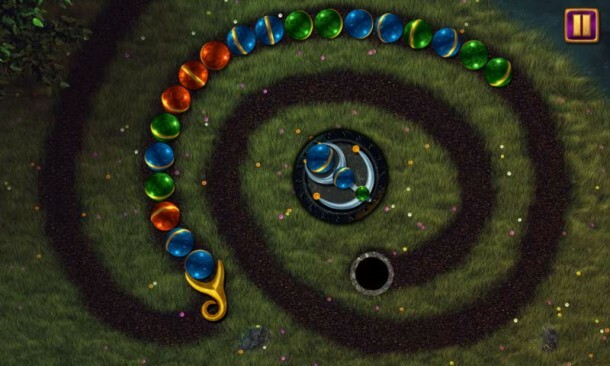 Build a fascinating story around it, add some dark and mysterious objective to shooting marbles, thrown in some major special effects and enchanting music, and bam! you’re hooked. The story goes that long long ago, five keys were created and dispersed around the ancient land. The keys, when united would unlock something of great value. But alas, many many souls who went in search of the keys never managed to retrieve them and their souls were forever trapped in the lands. 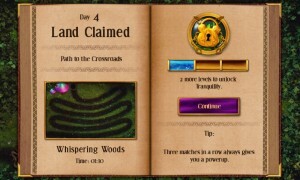 Your job is to journey through Shadegrown forest, find those keys and unlock that great treasure. Fairy tale! But really, its’s all about popping marbles! 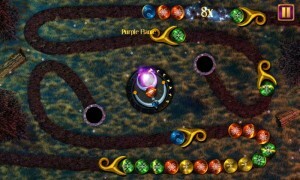 Despite its fairy tale set up, Sparkle 2 is all about matching same colored marbles. 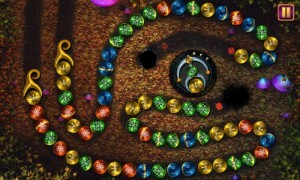 Just like in Zuma, the game starts off on a long winding map with colorful marbles snaking their way to the center. 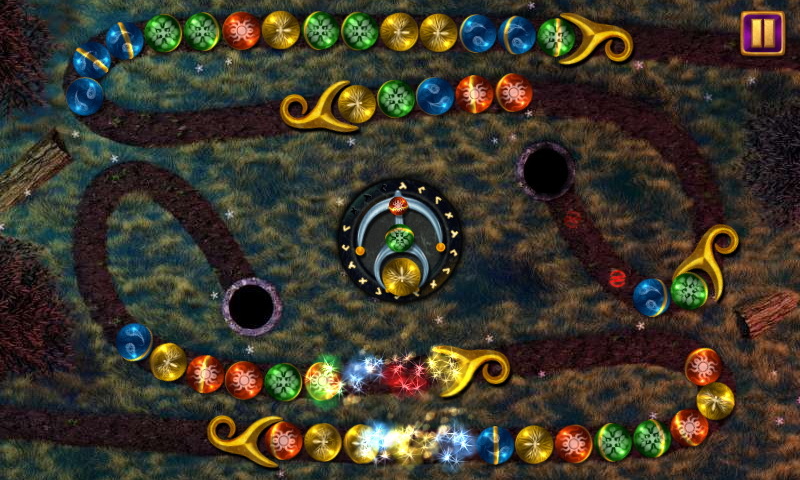 You direct an orb shooter towards the snaking marbles and blow them up by matching three of a kind or more. 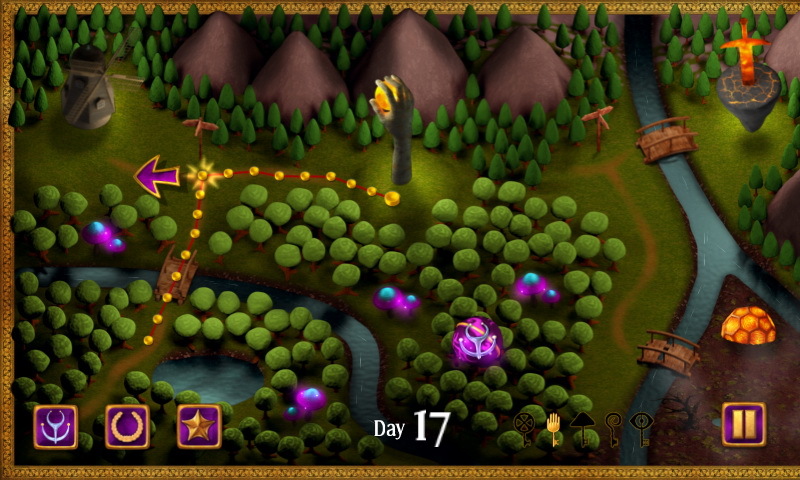 Despite the simple mechanics of gameplay, Sparkle 2 is gripping and absorbing especially when you reach higher levels. The multiple entry points for the snake to worm its way through and their varying speeds means you have to be intensely focused on both the orb shooter as well as on the colors on the snake. If you let the snake get in too close, the entire path will be swallowed up in a black hole and its game over. 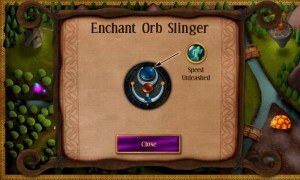 However, since this is a sort of a magical land, you get your fairy Godmother throwing you some cool power ups. (rather you match three or more colors to pick up power ups). They float across the map and you’ll have to shoot at them to take advantage of their powers. Power ups include items that paint other marbles to a single color, spew fire to burn up marbles, push the marble snake backwards, and such. In fact, they are available in plenty and come in handy at just the right times, so you rarely lose a game. There are also four special power ups or enchantments that can be used throughout the game such as ones that will speed up the launched orbs, slow down the game speed, see upcoming orbs, and so on. 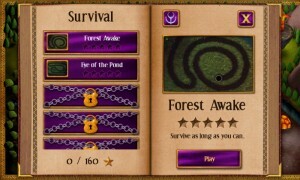 Once you are done with all 92 levels, you can indulge in a different game mode with the Survival and Challenge worlds ! Sparkle 2 simply cannot be thought of as yet another marble popping game. It’s simple gameplay is integrated with an interesting storyline that gives you a good reason to keep playing. The animations and graphics are of the highest order and a close up of the maps reveal its exquisite textures and designs. 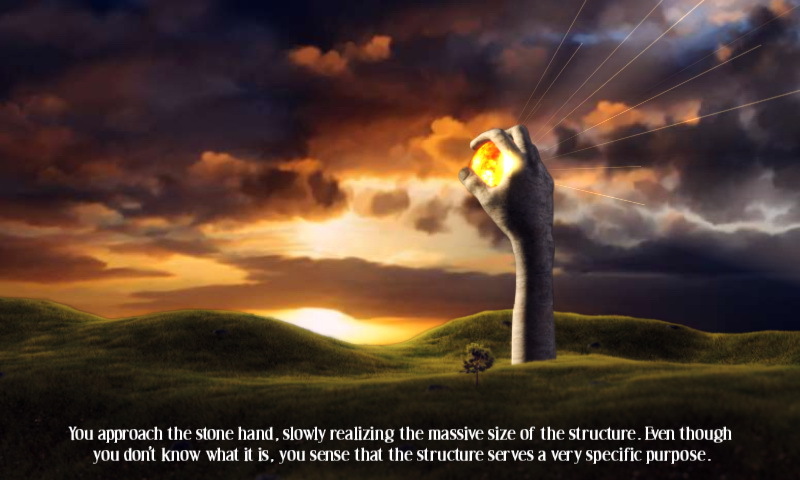 It’s hard not to be amazed and awed by the quality of work that has been put into the game. The music rises to the occasion, teasing you in the early stages of the game and building up the tension as things get tricky and tough. The game is pricey, despite its goodness, but you can take comfort from the fact that there are no ads, teasers, or in app purchases and your game time is a hundred percent. 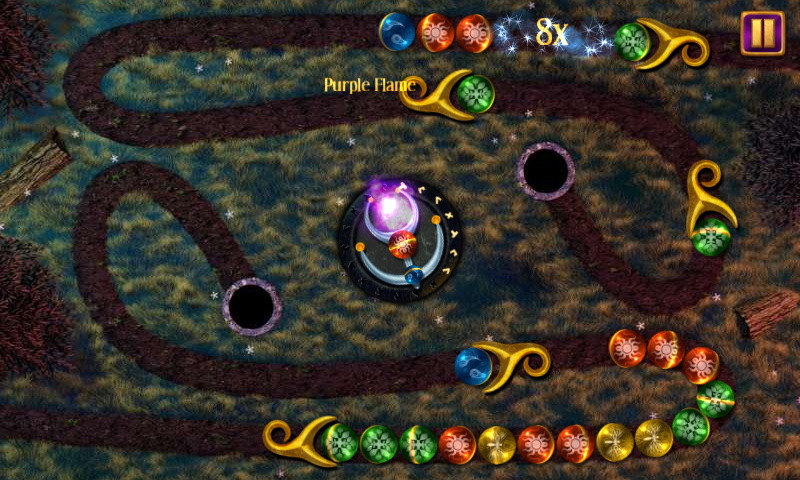 Despite the large number of games in its kitty, Sparkle 2 doesn’t offer a variety of fresh elements or twists in even during the later stages. For a game you’re paying to play, you would expect a certain level of replay ability, and here Sparkle 2 is a bit of a let down. Like a good mystery book that’s been read and discarded, Sparkle 2 will not keep the sparkle up for long, when you’ve revealed its mysteries. However, if you’re a big fan of the genre, and feel like indulging yourself in some retail marble popping therapy, Sparkle 2 is for you. If not, you may be well advised to spend your well earned money elsewhere.